Hi, I'm Freckles! I’m adopted! 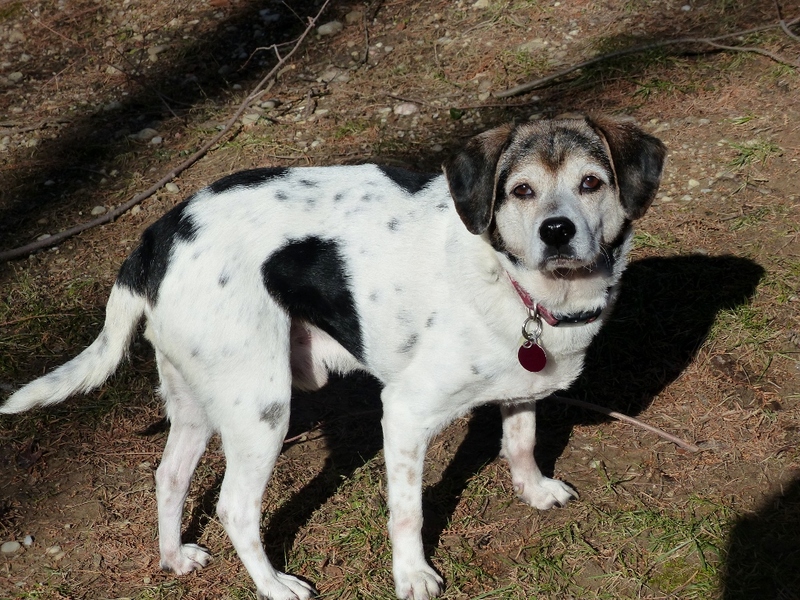 Freckles was adopted March of 2015! You know the saying “Three strikes and you are out”? Strike 1: Freckles previous owner decided to steal his parent’s rent money and their car and then took off without him! He was then turned into a local shelter. Strike 2: At the shelter, they noticed he had a growth in his ear. A major misdiagnosis by the shelter vet of a cancerous tumor that had spread down his ear meant that he was immediately scheduled to be euthanized. However, a couple of the shelter volunteers worked to get him into rescue. Luckily, the ear growth was easily removed and the biospy confirmed what the rescue’s vet suspected – that is was due to untreated ear infections and not even a tumor at all! 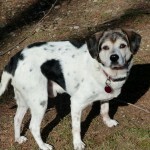 So now sweet Freckles is healthy and ready for adoption. He is around 9-10 years old and weighs about 35lbs. 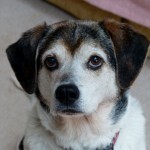 He is a super easy dog – laid back, fully housebroken, great in a crate (although probably doesn’t need one), good in the car. He generally does OK meeting other dogs, but at the end of the day, would like to come home to having the house to himself. He walks well on a leash and probably would be OK without a fenced yard. 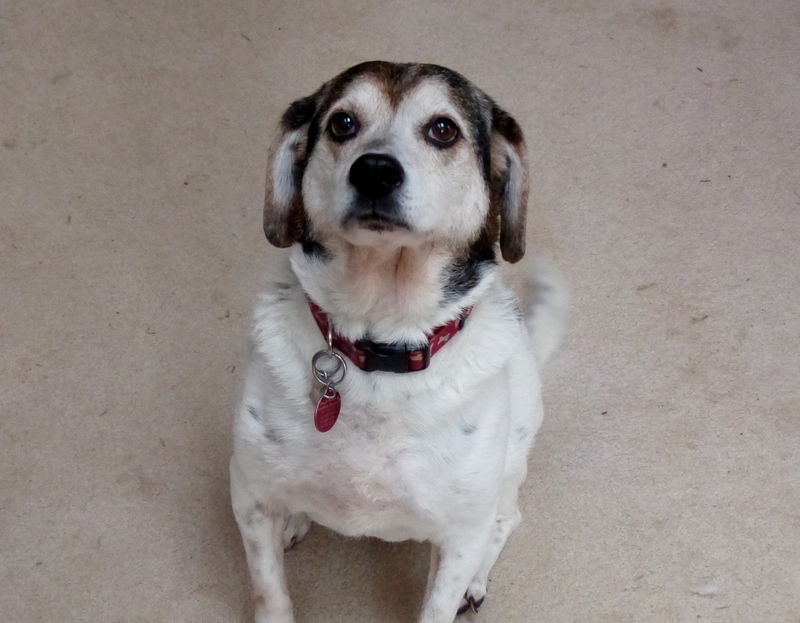 He likes to bark to let you know people are near the house, but being a beagle mix, he doesn’t have the traditional beagle howl. looking to leave that life behind. 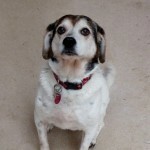 Can you be the one to give him a new start? If you are interested in Freckles! I’m adopted!, consider letting us know by filling out a (no-obligation) adoption application. Please consult our Adoption FAQ before contacting us. I am not expecting to attend the next adoption show, February 28 at the Bowie PetSmart (the show has been canceled).